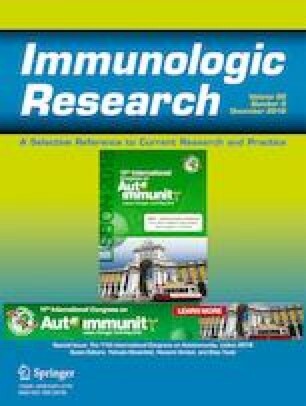 To report the temporal association between a series of thromboembolic events and intravenous immunoglobulin infusion in patients with rheumatic diseases, and to review the literature on the subject. The clinical presentation, course, and outcome of thromboembolic events occurring post-immunoglobulin infusion in nine patients is described. A web-based literature review using the PubMed database from 1996 to 2017 was performed, searching for the keywords: thrombosis, thromboembolism, intravenous immunoglobulin, pulmonary embolism, deep vein thrombosis, cerebrovascular event, and acute myocardial infarction. Nine patients who had suffered a thromboembolic event within a week after receiving an intravenous immunoglobulin infusion (Omr-IgG-am™, OMRIX) were identified among our joint cohort. All patients except one were female ranging in age from 22 to 69 years. Five had progressive systemic sclerosis (one of them had progressive systemic sclerosis with antiphospholipid syndrome, and another had an overlap of progressive systemic sclerosis with systemic lupus erythematosus), the sixth had monoclonal IgM autoimmune neuropathy, the seventh had systemic lupus erythematosus with antiphospholipid syndrome, the eighth had granulomatosis with polyangiitis (GPA) and the ninth had overlap autoimmune syndrome. Six of the patients had an arterial thrombosis: an acute myocardial infarction in four, a brachial artery thrombosis in the fifth, and a cerebrovascular attack in the sixth. Three patients sustained a venous thrombosis and/or an acute pulmonary embolism (one of them had a DVT with the PE). Two events occurred during the IVIG infusion, three within an hour after the last infusion of the 5-day course, one occurred a few hours after the initiation of the IVIG therapy, another occurred 3 days after receiving the final infusion of the 10th course, and two events occurred a week after the treatment course has ended. Fifty-five percent of the patients had no thrombogenic risk factors other than their rheumatic condition, and most of them had received numerous, uneventful IVIG treatment courses before sustaining the thromboembolic event. No immediate deaths occurred among this cohort. Thromboembolic events after IVIG infusions, although infrequent, may occur in rheumatic patients, even in the absence of other recognizable risk factors for thromboembolism. The reported events had occurred despite complying with recommended guidelines for IVIG administration, which include a lengthy 8-h infusion and division of the total dose. No correlation was found between the number and frequency of the infusions to the thromboembolic events. Heightened awareness of possible thromboembolic events in rheumatic patients is encouraged for at least a week following IVIG administration.